Home » Our Doctors » Lotie Aumoithe, O.D. Dr. Lotie Aumoithe is from Fort Lauderdale. She received her Bachelor’s Degree in Life Sciences/Biology from Nova Southeastern University and her Doctorate of Optometry from Nova Southeastern University in 2006. Upon graduation, Dr. Aumoithe completed a one-year residency in ocular disease at the Braverman Eye Center in Hallandale. Having done so has allowed her to gain advanced experience in glaucoma, diabetic eye care, corneal diseases, and refractive surgery co-management. 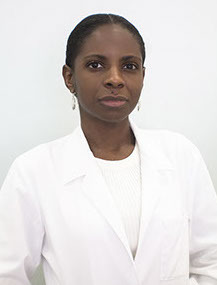 After completing her residency, she worked part-time in various practice modalities, which provided Dr. Aumoithe the time and opportunity to pursue her love of traveling. In 2009, Dr. Aumoithe moved to the Tampa Bay region and practiced inside of Costco in Clearwater. After a few years there, she left Costco to join Dr. Toshiya Arciaga & Associates to further enhance her focus on ocular disease co-management and personalized vision care. During her spare time, Dr. Aumoithe enjoys gardening and spending time with her boyfriend. She continues to follow her greatest pursuit in life—traveling!